Movage is introducing a first of its kind Customer Bill of Rights in the moving industry. The goal of Movage is to provide you with a great moving experience. Unfortunately, the moving industry is full of questionable practices and so called “rogue operators,” which is why we have created our own Movage Customer Bill of Rights. This Bill of Rights, detailed below, is our written commitment to provide you with honest, ethical, reliable service, without surprises or last minute changes. We will hold ourselves accountable to these standards during your move. Should we inconvenience you by failing to live up to any of our commitments, you should know exactly what to expect from us. The assistance of a capable and knowledgeable relocation consultant. The right to know the final cost of your entire move up-front. No surprises or hidden charges. A Confirmation Letter that discloses all the details associated with your move. Full disclosure of all insurance options available. Advertising and representations are truthful and factual. All customers whose move is cancelled by our own controllable actions 72 hours prior to the scheduled move will receive $50 credit towards any future moving or storage needs with Movage. Work to be completed by a fully insured and uniformed workforce. No day laborers or unscreened workers. Any additional service that has cost associated with it and is requested by the customer on the day of the move it will be discussed and approved by the customer prior to providing the service. Customer that submits a claim for any loss or damage will receive a final and full settlement within 14 calendar days of receipt. As our personal commitment to our customers that are used to enjoy the best service in the moving industry from Movage Moving you are entitled to a 100% money back guarantee. This satisfaction guarantee applies for each member of your moving crew. If you (the customer) in the unlikely event experience any dissatisfaction with the moving service provided, please take full advantage of these rights and request to speak to someone in our corporate offices or the company president immediately. 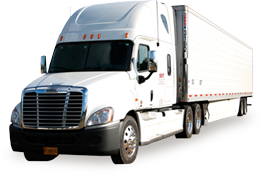 These Rights are subject to Movage, Inc. Bill of Lading and apply only to moves performed by Movage, Inc.